Cotten’s window now says his husband had the best intentions and interest for QuadrigaCX users as the search of $190 million worth of Bitcoins and other assets continue. At spot rates, Litecoin is bullish, and trading above $50 meaning buyers have a chance in days ahead. $190 is not pocket change, and it gets worse because few are buying the death story. The owner bearing the private keys of the exchange’s cold wallet(s) may, after all, be alive and kicking. That he may have faked his death, bribed officials and disappeared in India is a stab and further deepens the complexity behind the QuadrigaCX case. Forced to bear losses are ordinary investors and traders who tried to play the market or DCA in a bid to dodge dropping asset prices. For the unaffected, the sharp twists and turns, the eye-popping coincidences and the fact that big money was involved make this looks like a sad ending thriller. With Cotten dead or gone, everyone is looking at Jennifer Robertson, who is, unsurprisingly standing by the actions of her husband. In a statement through her lawyers Stewart McKelvey, she defended her husband saying Cotten had the best interests of the business in mind and cared for his customers. 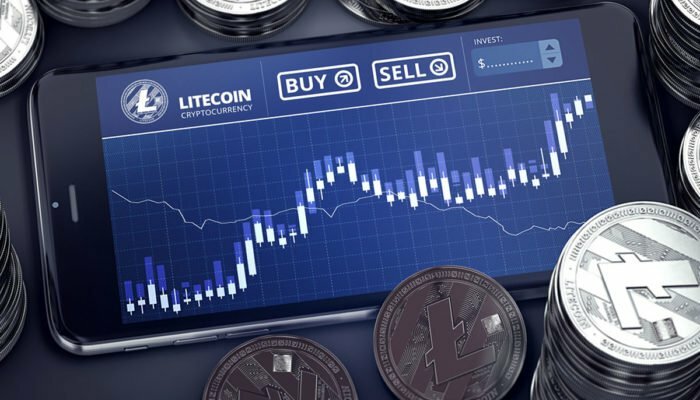 As it is, Litecoin is trading within a bullish breakout pattern, and buyers are clearly in control. Because of this and as mentioned in previous Litecoin trade plans, every low is technically a buying opportunity with targets at $70. Proper stops should be at Mar 5 lows of $45. Drops below $45 invalidate this stand. 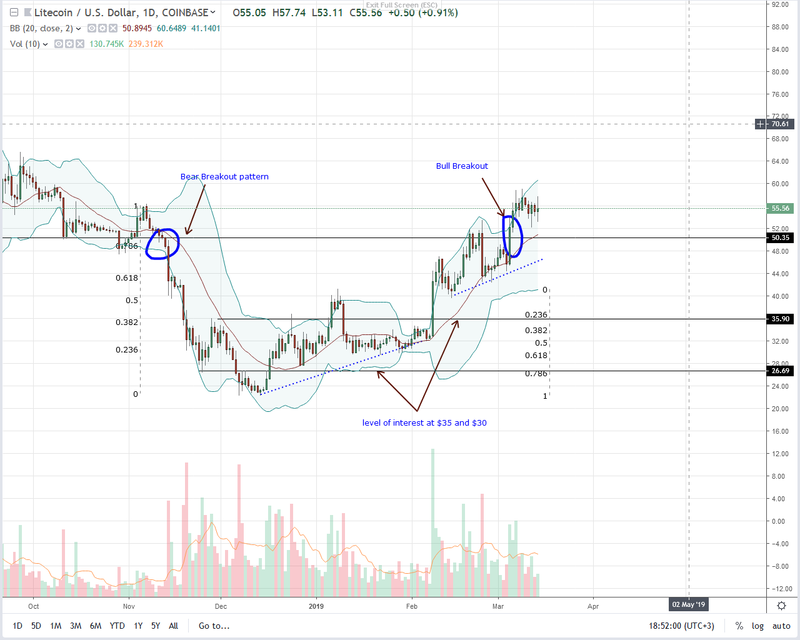 It is likely that Litecoin prices will correct lower to compensate for the over-extension of Mar 7. Even so, every dip is an opportunity, and we need confirmation of Mar 5 bulls. The confirming bar should have high volumes exceeding 214k—current averages and those of Mar 7—426k, further invalidating bears of late Nov 2018.